[INQ. NO. 1608E05] Gate Technologies possesses the best smart IT solutions, and offers specialized convergence technologies and services in order to create superior IT devices. With abundant experience and expertise in optical, IR, capacitive touch solutions, system on chip, Gate Technologies’ products have been optimized to meet business needs in various settings. The optical touch screens can be utilized for control panels, interactive white board for education, large size digital signage, smart board for business, and more. Awarded the certification of ‘World-class Product’ by the Ministry of Trade, Industry & Energy, Gate Technologies has incorporated the latest touch technologies. The optical touch modules utilize camera sensor, infrared LED, and reflective sheet that are manufactured to offer the highest quality performance at minimum power consumption. In addition, the modules have been structured with simplicity and affordability in mind. 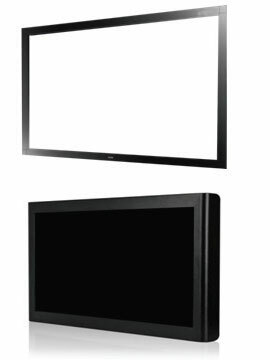 With adjustable displays from 21.5” to 120”, the optical touch module offers an optimized solution for both education and business purposes With many features including four digital cameras (slit lens), embedded controller board, 60FPS of response speed, four-point touch support, easy calibration on PC, high resolution, competitive prices, etc., Gate Technologies’s optical touchscreen is now used for classroom, conference, hospital, auditorium, academy, studio, broadcasting, and more. Gate Technologies has been actively expanding in overseas markets of e-learning and smart boards through intensive investment in R&D and product competitiveness. Through continuous R&D activities and product developments, the company will continue to provide advanced system solutions, and market-friendly products. [INQ. NO. 1604E06] The Gate Technologies possesses the best smart IT solutions, and offers specialized convergence technologies and services in order to create superior IT devices. With abundant experience and expertise in optical, IR, capacitive touch solutions, system on chip, the Gate Technologies’ products have been optimized to meet business needs in various settings. 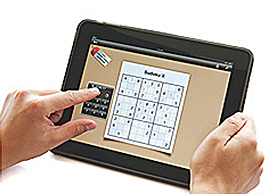 The optical touch screens can be utilized for control panels, interactive white board for education, large size digital signage, smart board for business, and more. solution for both education and business purposes With many features including four digital cameras (slit lens), embedded controller board, 60FPS of response speed, four-point touch support, easy calibration on PC, high resolution, competitive prices, etc., the Gate Technologies’s optical touchscreen is now used for classroom, conference, hospital, auditorium, academy, studio, broadcasting, and more. The Gate Technologies has been actively expanding in overseas markets of e-learning and smart boards through intensive investment in R&D and product competitiveness. [INQ. NO. 1512E04] The Gate Technologies possesses the best smart IT solutions, and offers specialized convergence technologies and services in order to create superior IT devices. With abundant experience and expertise in optical, IR, capacitive touch solutions, system on chip, the company’s products have been optimized to meet business needs in various settings. The optical touch screens can be utilized for control panels, interactive white board for education, large size digital signage, smart board for business, and more. Awarded the certification of ‘World-class Product’ by the Ministry of Trade, Industry & Energy, it has incorporated the latest touch technologies. The optical touch modules utilize camera sensor, infrared LED, and reflective sheet that are manufactured to offer the highest quality performance at minimum power consumption. In addition, the modules have been structured with simplicity and affordability in mind. With adjustable displays from 21.5” to 120”, the optical touch module offers an optimized solution for both education and business purposes. With many features including four digital cameras (slit lens), embedded controller board, 60FPS of response speed, fourpoint touch support, easy calibration on PC, high resolution, competitive prices, etc., Gate Technologies’s optical touchscreen is now used for classroom, conference, hospital, auditorium, academy, studio, broadcasting, and more. The Gate Technologies has been actively expanding in overseas markets of e-learning and smart boards through intensive investment in R&D and product competitiveness. Through continuous R&D activities and product developments, the company will continue to provide advanced system solutions, and market-friendly products. [INQ. NO. 1508E03] The Gate Technologies possesses the best smart IT solutions, and offers specialized convergence technologies and services in order to create superior IT devices. With abundant experience and expertise in optical, IR, capacitive touch solutions, system on chip, the company’s products have been optimized to meet business needs in various settings. The optical touch screens can be utilized for control panels, interactive white board for education, large size digital signage, smart board for business, and more. Gate Technologies possesses the best smart IT solutions, and offers specialized convergence technologies and services in order to create superior IT devices. With abundant experience and expertise on optical, IR, capacitive touch solutions, system on chip, Gate Technologies’ products have been optimized to meet business needs in various settings. The optical touch screens can be utilized for control panels, interactive white board for education, large size digital signage, smart board for business, and more. Featuring with many points including 4 digital cameras (slit lens), embedded controller board, 60FPS of response speed, 4 point touch support, easy calibration on PC, high resolution, competitive prices, etc., Gate Technologies’s optical touch screen is now used for classroom, conference, hospital, auditorium, academy, studio, broadcasting, and more. Gate Technologies has been actively expanding in overseas markets of e-learning and smart boards through intensive investment in R&D and product competitiveness. Through continuous R&D activities and product developments, the company will continue to provide advanced system solutions, and market-friendly products.